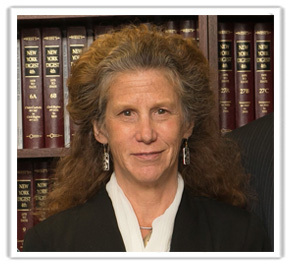 Karen Norlander, Esq. serves as a special counsel to Girvin & Ferlazzo, PC, representing individual school districts in special education matters and supports the firm's Special Education Law practice through the development of training programs and preventive law initiatives. She is also counsel to the statewide Council of New York Special Education Administrators (CNYSEA), and legal advisor to National Professional Resources, Inc. Admitted to practice in the U.S. Court of Appeals for the Second Circuit and U.S. Supreme Court, Karen has successfully represented school districts in hearing, appeals and litigation involving children with disabilities and civil rights. She is also a state certified hearing officer and has taught education law classes at both the undergraduate and graduate levels. Karen earned a master's degree in social work from Columbia University and her law degree from Pace University School of Law. She is a member of the Women's Bar Association, the New York State Bar Association and its committees on children and the law and persons with disabilities, the National Association of Administrative Law Judges. Recently she coauthored chapters in special education law for the 2013 edition of the New York State Bar Association's publication on Persons with disabilities, and served as a consultant to Southern-Westchester BOCES where she prepared material and presented to over 50 districts on legal obligations and disabilities under state and federal civil rights laws. In 2010, Norlander was recognized as a Super Lawyer in her field of education law. For National Professional Resources, Inc./Dude Publishing, she has written the laminated reference guides, What Educators & Parents Need to Know About Special Education Law (also available in Spanish) and Section 504 of the Rehabilitation Act: Students with Disabilities. 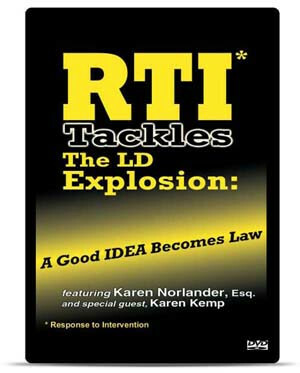 She is also a featured presenter on the video RTI Tackles the LD Explosion.